<!-Stanley Ray Badmin. 1906-1989--> Stanley Ray Badmin. Priory Pond Stroud. Priory Pond Stroud. 1932. Etching. Beetles 32. 5 1/4 x 6 (sheet 8 5/8 x 11 3/8). Edition 30, #29. 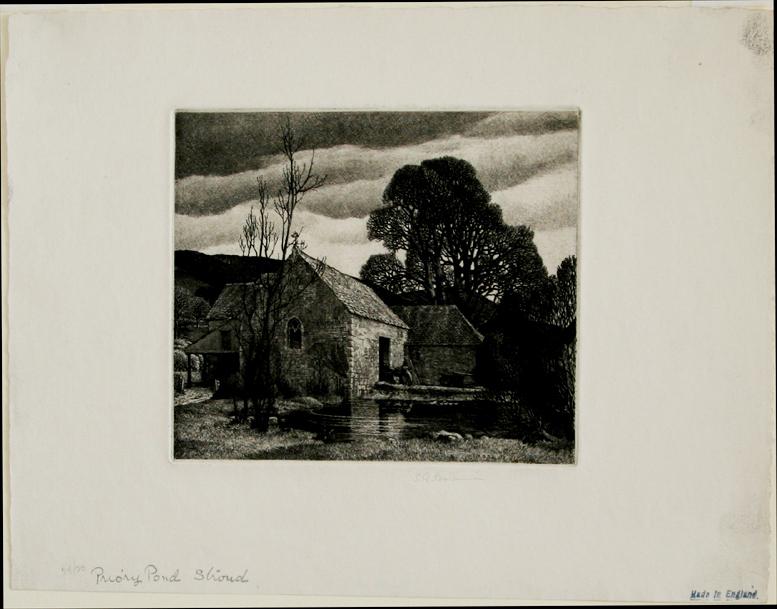 Published by the Twenty-One Gallery in 1931. 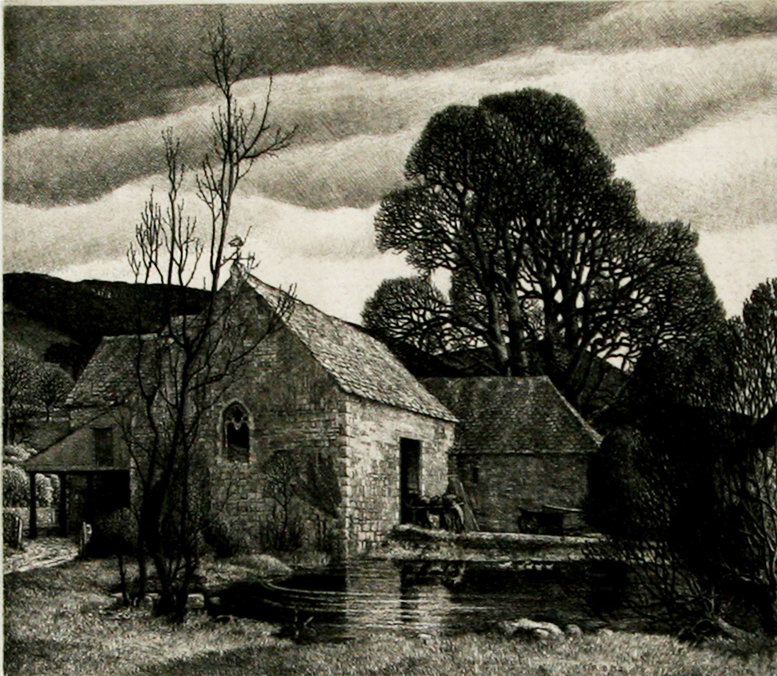 Exhibited: Royal Society of Painter-Etchers and Engravers, 1932. An extremely rich impression with subtle tonal wiping, printed on 'Basingwerk Parchment' cream wove paper. Signed, titled and numbered in pencil. $1,750. King's Stanley is a village in Gloucestershire, England, situated southwest of the town of Stroud. The village is part of what is known locally as 'The Stanleys', along with its neighbours Leonard Stanley and Stanley Downton. Marling Close, which contains the local playing fields on which the cricket and football teams play, was donated to the village by local magnates The Marlings who also helped found Marling School, and is now in the care of the Marling Trust. The village is overlooked by Selsley common. The village is home to the oldest Baptist Church in Gloucestershire that started meeting in 1640. In the Domesday Book of 1086 it is recorded as held by Turstin FitzRolf.